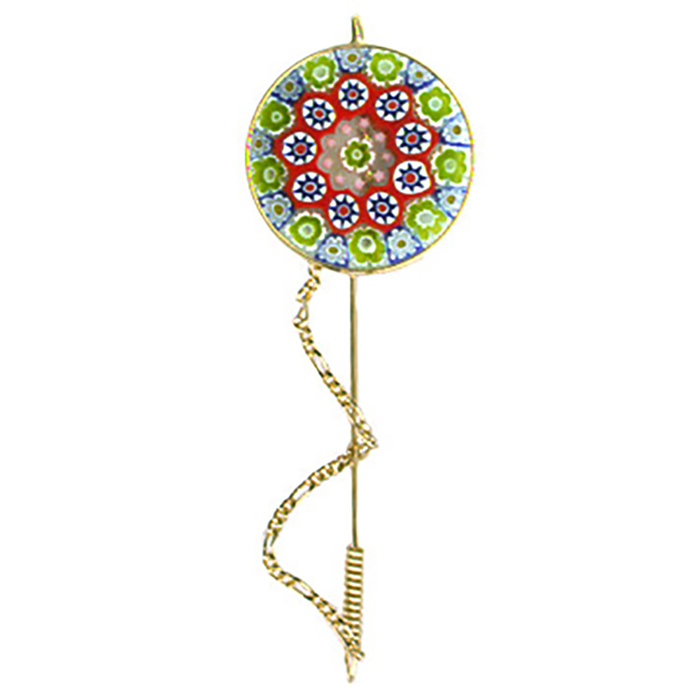 29mm stick pen of millefiori glass handmade in Italy (about 1 1/4 inch in diameter). It is gold plate over sterling silver and the glass is authentic Murano Glass Jewelry. Great to dress up suits.